Fledgling London based producer, Copy Paste Soul, returns on Exploited. Copy Paste Soul’s music is set to truly take off this year. Among remixes for Photek on Photek Productions, Deadmau5, Audiojack’s Gruuv label and Alex Barck from Jazzanova on Sonarkollektiv, Copy Paste Soul has a lot in store for 2013. 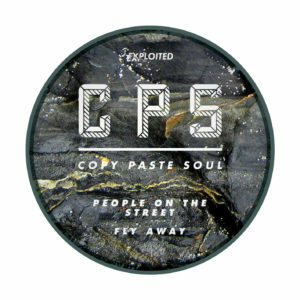 Copy Paste Soul makes forwardthinking Deep House full of bouncy basslines and lush chords which has been supported by Skream, Annie Mac, T. Williams, Modeselektor, Disclosure, Justin Martin and Tensnake to name a few. Since his latest output on Exploited, he has played high-profile gigs including Carl Cox’s Revolution Night at Space Ibiza, Bestival and O2 Academy Oxford for Annie Mac’s Presents Party. “People On The Street” is probably Copy Paste Soul’s strongest release so far. Enjoy!